Festive Marketing-Creating Value | Business Article | MBA Skool-Study.Learn.Share. Marketing is the art of creating value. 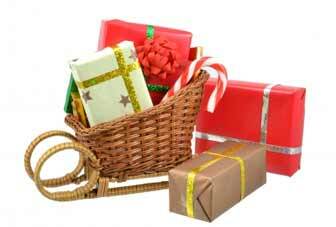 Festive marketing is the strategy used for marketing during festive seasons. During festivals, there is a swift surge in sales. The number of consumers is rapidly seen to hit the summit. These are the periods of time when discounts attract even larger crowds. The main reason behind this unexpected upheaval is customers’ emotions. Emotional buys are the focal point of festive marketing. In India, Festive marketing is observed almost all year round during Holi, Diwali, Christmas etc; whereas, in the west, this is prevalent only between November and January. Festive schemes attract an average of 40% growth in sales for most companies and almost a 300% growth in e-shopping. Ad campaigns – Companies choreograph innovative ads that portray how their products are important for the festivals. They try to make a bond between the festival and their product. For example, Cadbury made an ad campaign of how diwali could be enjoyed with chocolates as a substitute for sweets. Discounts and Offers – Attractive offers are often used as a means of increasing the buying intensity of customers during these special occasions. For example, Mercedes Benz India provided customers who bought their cars between 1st September, 2012 and 15th October, 2012, a chance to meet Michael Schumacher and also to watch the Formula 1 race. Greeting Cards – Companies send greeting cards to their clients and customers. This also helps to convey information about special offers, new products and existing schemes to customers in an effective manner. For example, Tanishq is a brand which sends festive greetings to its customers. Sponsoring Events – Companies are also known to sponsor events so that people may come together during occasions and so that they may also promote their brand simultaneously. Packaging – Some companies are planning to come up with special packaging that will depict festivals. Every festival will see a launch of its theme based gift wraps and packaging. Bundling and credit – Companies are planning to introduce bundled products and store credits in place of giving discounts. They do not intend to lower their prices, but retain the tradition of festive offers. Festive marketing can help build a strong brand image. This period of marketing is the time when companies can come up with innovative methods of standing out. This is the time when uniqueness is most noticed, appreciated and valued. Festivals are considered to be auspicious by almost all and sundry. If you can win a heart, then you also win a customer. Festive marketing can create a category of customers who seek festive deals. They only buy when there are discount offers. Recently, in October, 2012, Sony revealed that it has allotted a sum of Rs. 150 crore for festive marketing. Sony has invested in marketing and promotions for the months of September, October and November. They are expecting a turnover of Rs. 2,850 crore from this festive season. This year, Canon India has spent Rs. 40 crores on festive marketing. As an extension of its ‘What makes us click’ campaign, it had launched a new campaign especially for Onam. This campaign featured actor Anushka Sharma, who is the company’s brand ambassador. Canon’s overall camera business has grown 60%. But this year in Kerela, the growth has been 110%, which is so far the highest record of Canon. The festive season domestic car sales have reached their peak in October, 2012 almost after two years. The growth has been by 23.09% to an amount of Rs.1.72 Lakh. Festive Marketing is a boon to companies who can implement and demonstrate their innovation. But it can also be a bane if it earns customers only during festive seasons due to special offers.